There are millions of sites chronicling every day events of the world. There are umpteen news channels that bring you live news feeds as they happen. They are all undoubtedly brilliant. They are all invariably depressing. And that just makes us all the more pissed off at the cosmic injustice of it all. Well, this is not one going to be one of those brilliant blogs. This blog is exclusively for those of you who want to relax at the end of a long day. Here, we sit back and talk about stuff that we prefer to talk about - be it funny events of the day, pictures, movies, books or music. Rather than cribbing about a world gone sour, let's enjoy what the universe does right. I'll be your bartender for the day, lifting your spirits ( pun unintended ) with everything that keeps you smiling and nothing that matters at all. Cheers to a new beginning. Should be fun!!! Please update it regularly!!! :) Would love to read!! Great! I am sure we all need some doctor prescribed smiles at the end of the day :) Looking forward to it. Just what I want ! And from my favorite blogger ! I cant ask for more.! Keep them coming ! :D LOL Yes yes i am a fan ! And I loved it ! 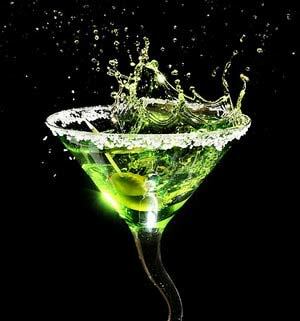 Looking forward for the Appletini!! Keep 'em comin doc!! Here's hoping for regular appletinis :) ! will be as regular as possible. Man, you guys are scaring me :) Anyway, will do my best to keep everyone smiling as long as I can. Welcome aboard... and cheers to you too.